The Mavic Rush is the first mountain bike shoe I purchased after a 10 year hiatus in mountain biking. I didn’t spend much time researching shoes prior to making this purchase, but I did note that these tended to score well amongst owners, so when a sale came along it was a no brainer to give these a try. Design is always an important factor for me, and design ranks as high as function as far as I’m concerned. In the case of these shoes both design and function score well. Design wise they look modern and aggressive without being over the top, and function wise they’re incredibly comfortable and do a great job of allowing me to adjust the tightness and fit exactly the way I want. The buckle/strap near the angle is secured via a racheting system, and just as easily released via another lever. The ability to get a great and snug fit translates to efficient energy transfer when battling those grueling climbs. 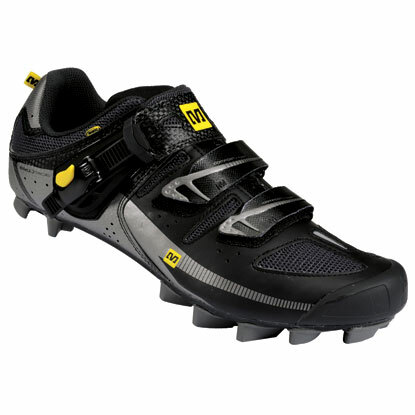 Not often written about is the performance of the shoes when not on the pedal – aka those times when you’re pushing the bike up a hill so steep that it’s beyond pedal-ability. 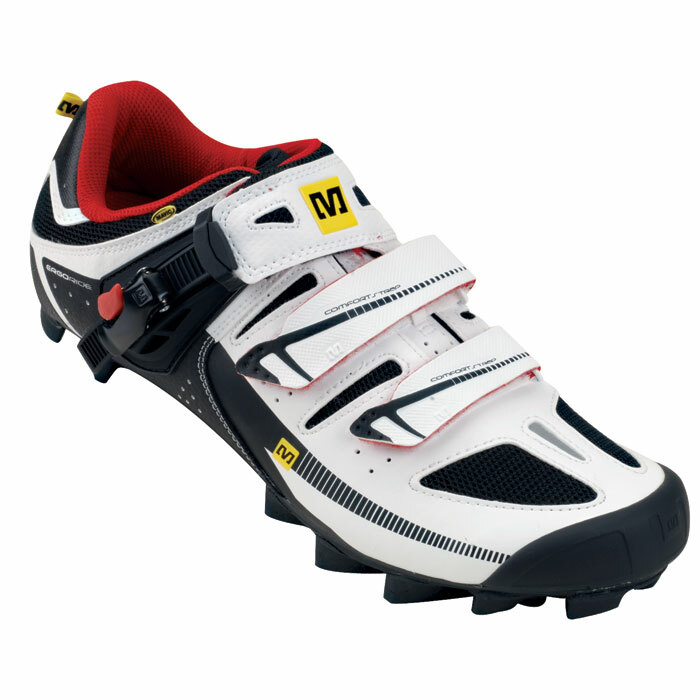 The Mavic Rush’s pedal performance is only rivaled by its off-pedal performance in that I’ve climbed some extremely steep hillsides with the assistance of well designed high quality cleats which dug into the ground providing unparalleled traction. The MSRP is $130 on these, but Performance Cycle often has them on sale for $80 or so – which is a great deal for such a high quality shoe.